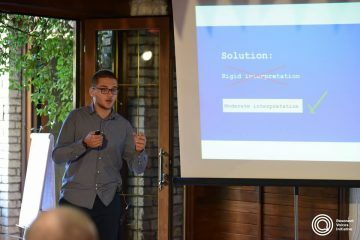 The team from Security Policy Research Center in Pristina will launch a project to counter violent extremism through positive narratives on social media. They will tackle the abundance of radical ideologies from religous scholars being consumed by young people in the Balkans that lead to radicalization. Short video interviews with leading Islamic scholars and other community influencers in Kosovo will be produced, promoting positive counter narratives and a moderate interpretation of Islam. Through a well targeted campaign on social networks, these resonant voices will reach vulnerable audiences living both in Kosovo and abroad. Security Policy Research Center (SPRC) or in Albanian, Qendra Kërkimore për Politikat e Sigurisë (QKPS), is an independent, politically non-biased, non-governmental organization (NGO) in Kosovo, established in 2015. SPRC focus is to do research and provide studies on the security issues relevant to Kosovo’s safety and in relationship to other regional countries, but not excluding the global trends. Additionally, SPRC aim is to study current security policies, recommend and provide suggestions, and establish new security policies for Kosovo and the regional countries.